No wonder they are frustrated. Working class white men saw their income drop 9% between 1996 and 2014, according to a new report from Sentier Research. This group, who Sentier defines as having only a high school diploma, earned only $36,787, on average, in 2014, down from $40,362 in 1996. Meanwhile, college educated white men saw their income soar nearly 23% over the same period, from $77,209 to $94,601. 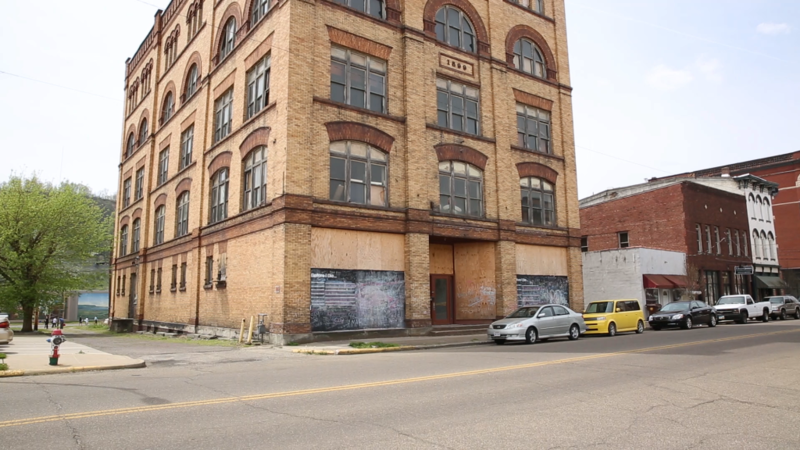 Published by two former Census Bureau officials, the Sentier report shines yet another light on the fortunes of the white working class. This group has become a force in the 2016 presidential election, serving as the backbone of Donald Trump's support. And the Republican candidate's campaign has tailored much of his campaign to the working class, with promises that he will bring back the manufacturing jobs that once allowed them to support their families. The study first looked at the 1996 incomes earned by 10 groups of men in two-year cohorts ranging in age from 25 to 26 to 43 to 44. Sentier then looked at what men earned 18 years later, when the youngest cohort were 43 to 44 and the oldest were 61 to 62. The results varied greatly by age. The youngest group of working class white men, who were 25 to 26 in 1996, saw their incomes rise by 19%, from $32,677 to $38,803, over the 18-year period. However, their college educated peers enjoyed a 133% explosion in their incomes, from $40,487 to $94,252. When it came to the oldest cohort, who were 43 to 44 in 1996, both working class and college educated white men saw their incomes fall over the period. But the working class still fared worse, suffering a 47% drop in income, from $51,491 to $27,230. 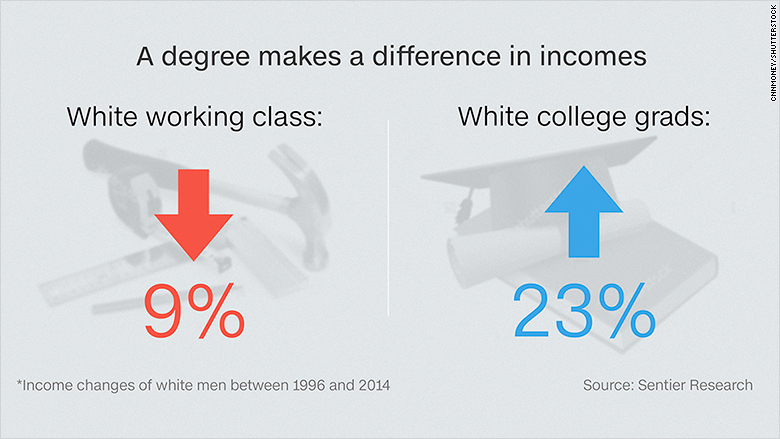 Men with college diplomas, however, saw their incomes fall 28.5%, from $95,734 to $68,406. This decline among older workers stems in part from people who left the labor force or shifted to part-time work, which pulls down the average income for the group, said Gordon Green, co-author of the report. In order to capture these trends, Sentier calculated its income estimates by dividing the total amount of wage and salary income received by members of all of the age cohorts by the overall number of people in the group. This differs from the more common calculation, which just looks at those who receive wage and salary income and work full-time, year-round. The income declines among working class white men stretches back to at least 1978, Sentier found. Those who were age 25 to 44 back then made more than they did in 1996. College educated white men, on the other hand, saw their income grow during that period. In addition to showing the tough times the working class has faced, the report also shows the big income boost that comes with a college degree, Green said. "People say it may not be worth it to go to college. These numbers show that isn't true," he said.